Check out our stellar line-up of internationally known pro-life advocates coming to speak at this year's International ProLife Youth Conference. David Bereit is national director of 40 Days for Life, a groundbreaking pro-life initiative of prayer and fasting, peaceful vigils, and community outreach. Since 2007, more than 625,000 people in 539 cities around the world have participated in 40 Days for Life campaigns. As a result, 8,973 babies have been saved from abortion, 56 abortion centers have closed, and 101 abortion workers have left the abortion industry. David has spoken extensively across the United States and around the world, inspiring audiences as large as 70,000 people. His work has been prominently featured in nearly every major media outlet. David is married to his best friend Margaret, and they reside in Virginia with their two children, Claire and Patrick. Ryan Scott Bomberger is an Emmy Award-winning Creative Professional who founded the Radiance Foundation along with his wife Bethany. They have made an unexpected impact in the pro-life movement with the bold TooManyAborted.com billboard and web campaigns. As the first pro-adoption themed ad campaign in the black community, the effort received massive media coverage. Working in conjunction with noted national civil rights leaders like Dr. Alveda King, Ryan is involved in national efforts to expose and defund Planned Parenthood by illuminating this human rights injustice. Now, as Chief Creative Officer of The Radiance Foundation, he hopes to continue to impact millions to embrace their God-given intrinsic value and the incredible possibility with which we are all born. Dr. Eoghan de Faoite has been the Chairman of Youth Defence, Ireland’s largest and most active pro-life organization, since 2002. Described as “one of the most influential and organized young leaders in Ireland” he has directed highly effective pro-life awareness campaigns, organized and led nationwide lobbying efforts, and has galvanized the pro-life majority in Ireland to speak out against abortion. Dr de Faoite is one of Ireland's foremost pro-life commentators, frequently appearing on media and in public forums. He has testified at the United Nations and given evidence before the Irish Parliament. Dr. de Faoite was the principal organizer of the International Symposium on Maternal Health, which was held in Ireland and produced the Dublin Declaration – a global document affirming abortion is not medically necessary and has been signed by over 500 medical professionals. Dr de Faoite is a practicing physician in Dublin, Ireland and serves as a medical advisor to the Life Institute. Kristina Garza directs Campus Outreach for Survivors of the Abortion Holocaust. She has been a pro-life activist since 2008, when a member of the Survivors team convinced her to take a pro-life pamphlet on her way to a university class. Since then, she has led hundreds of pro-life outreaches and numerous training events for youth and young adults throughout the nation including five Survivors ProLife Training Camps and the International ProLife Youth Conference. She enjoys speaking to and inspiring youth at schools, churches, and rallies throughout the nation. Bryan Kemper is the founder of Rock for Life, Stand True and the Pro-life Day of Silent Solidarity. Bryan is currently the Youth Outreach Director for Priests for Life. A passionate and compelling orator, he has spoken at high schools, universities and pro-life events around the world, In the past, he was a regular guest on the television show, Politically Incorrect with Bill Maher. He has also been featured in three documentary movies. Bryan is the author of the book, “Social Justice Begins in the Womb” as well as a blogger and regular contributor to many pro-life media outlets. Bryan believes this is the generation that will abolish abortion, and Stand True works to educate, activate and equip them to be just that. Jorge Serrano Limon is the director of Mexico’s largest pro-life organization, Comite Nacional Pro Vida, an organization dedicated to political action, media, and education. In 1989, Jorge founded Centros de Ayuda para la Mujer (CAM), a network of pregnancy help centers in Latin America which include help centers, mobile ultrasound clinics, and crisis counseling over the internet. CAM has saved over 180,000 unborn babies from abortion in 92 centers in 14 countries including every state in Mexico, Central and South America, U.S.A., and Spain. Troy Newman has actively worked on behalf of the pre-born for over twenty years. 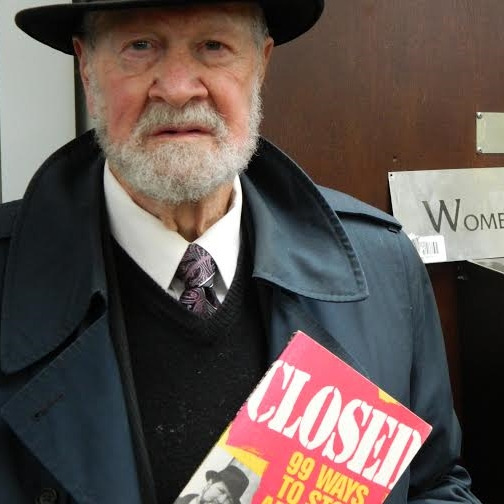 Through innovative new tactics, Newman’s work is responsible for the closure dozens of abortion clinics around the nation. His groundbreaking work has been featured in Rolling Stone Magazine, the Los Angeles Times, The New York Times, the Chicago Tribune, and CNN. Newman has been quoted in every major newspaper and network news program in the nation. In 2006, Newman bought and closed Central Women’s Services, an abortion clinic in Wichita, Kansas, that has been renovated and now serves as Operation Rescue’s national headquarters and a memorial to the pre-born. Newman is a sought-after public speaker and a published author whose works include the book Their Blood Cries Out! He and his wife of twenty years, Mellissa, raise their five children on their beautiful ranch in rural Kansas. Eric Scheidler is the executive director of the Pro-Life Action League, founded in 1980 by his father, veteran pro-life leader Joe Scheidler. The League recruits, equips and trains pro-life Americans to put their convictions into action at the grassroots level through peaceful direct action. Under Eric’s leadership, the League’s headquarters city of Chicago has become “ground zero” for pro-life activism nationally. Eric achieved international recognition for leading the fight to stop Planned Parenthood from opening the largest abortion clinic in the country in Aurora, Illinois in 2007, and frequently assists pro-life activists in their battles with the nation's largest abortion provider. In 2012, Eric organized hundreds of Stand Up for Religious Freedom rallies throughout the United States in opposition to the Obamacare HHS Mandate, creating a network of local activists he continues to work with today. Joseph M. Scheidler is Founder and National Director of the Pro-Life Action League, headquartered in Chicago. He has been a pro-life activist since the U. S. Supreme Court issued its Roe v. Wade decision in 1973. Joe was called the Green Beret of the pro-life movement by syndicated columnist Patrick Buchanan and is often referred to as the Godfather of Pro-Life Activism. He wrote CLOSED: 99 Ways to Stop Abortion, outlining creative ways to shut down the abortion industry and is currently writing, Racketeer for Life, a memoir of his life as an activist, scheduled for publication in January 2015. Pro-life leaders across the world credit Joe with getting them actively involved in the pro-life movement. Joe Scheidler was the chief defendant in a RICO lawsuit brought against him in 1986. He prevailed after twenty-eight years in the courts and three trips to the U.S. Supreme Court. Chris Slattery is the Director of Expectant Mother Care in New York City. A native of NYC, he pursued a dream to support pregnant women and girls in need with real alternatives to abortion. In 1985, after first-hand experience in sidewalk counseling on the streets of Manhattan, Slattery launched Expectant Mother Care (EMC) FrontLine Pregnancy Center – the first Crisis Pregnancy Center in NYC. Now in its 30th year, EMC has grown into the largest network of pregnancy help centers in the Northeast and has offered over 135,000 pregnant women in crisis pregnancy situations free pregnancy testing, on-site ultrasounds, pro-life counseling, onsite subsidized pre-natal care, STD testing, and on-site adoption arrangements, referrals for housing and legal aid, and material assistance. Over 43,000 girls and women counseled and served by EMC have chosen Life, instead of abortion. Warren Cole Smith is Vice President of WORLD News Group, publisher of WORLD Magazine, the nation’s largest Christian news magazine. He also hosts and contributes to WORLD’s various radio programs and podcasts, which are heard on more than 500 stations nationwide. Warren is the author or co-author of more than 10 books, including Prodigal Press: The Anti-Christian Bias of the American News Media. He has been married to Missy for 31 years, and they have four children. A passion for life and the Pro-Life Movement are driving forces in both his work and the work of WORLD News Group. Bernadette Smyth is the founder and director of Precious Life - the leading pro-life educational and activist group in the North of Ireland. Bernadette is the mother of four children and with the support of her husband and family, she has dedicated her life to spreading the “culture of life.” She is on the front-line of pro-life activism with the aim of keeping abortion not only illegal but unthinkable! Under Bernadette’s powerful leadership, Precious Life has, for 17 years, been actively fighting abortion … through the government … in the courts …and on the streets. Her latest project is to open the first International, life-affirming Healthcare Clinic Stanton in Northern Ireland. Bernadette is a tireless campaigner with a reputation of straight talking and getting things done. Bernadette has inspired many with her inspirational speeches, and has become one of the most popular and sought-after international pro-life speakers. Jill Stanek’s commitment to Christ led her to risk her job, reputation, and friendships to stop the terrible practices of abortion and infanticide. Jill was a registered nurse at Christ Hospital in Illinois when she made the shocking discovery that babies were being aborted alive and allowed to die without medical care. Jill went public and has since become a national figure in the effort to protect both born and pre-born infants. In January 2003, Jill was named by World Magazine as one of the 30 most prominent pro-life leaders in the movement over the past 30 years. Jill hosts one of the most popular pro-life blogs in the U.S. For her pro-life writing, liberal MSNBC commentator Keith Olbermann named Jill the “Worst Person in the World!” on June 4, 2009, perhaps Jill’s greatest honor! In 2011 News Reel Blog named Jill one of the “Top Ten Enemies the Pro-Abortion Left Fears.” Jill is a member of Parkview Christian Church in Orland Park, Illinois. She and husband Rich have three married children and nine grandsons. Brandi has now launched on her most ambitious project; Stanton Healthcare. As Founder and CEO of Stanton, Brandi is establishing life affirming women’s medical clinics that will one day replace Planned Parenthood. Their flagship center is located in Boise, Idaho right next to Planned Parenthood and they are in the process of building a state-of-the-art health clinic next to a mega Planned Parenthood abortion clinic in Meridian, Idaho. Jonathon Van Maren is a pro-life speaker that has spoken across Canada and in the United States. He is a popular writer both for the Canadian Centre for Bio-Ethical Reform and LifeSiteNews, has a blog at the Times of Israel, and has been published online and in print in publications such as the National Post, the Jewish Independent, and the Hamilton Spectator. He also hosts a weekly radio show, The Bridgehead, which features commentary and interviews with everyone from Holocaust survivors to commentators such as Mark Steyn. He is the communications director for the Canadian Centre for Bio-Ethical Reform, an educational pro-life organization which is transforming the culture and currently employs almost 20 young people as staff. After ten years of inspiring tens of thousands of Americans to join him in the streets to protest abortion through his leadership in Operation Rescue, Jeff White founded Survivors in 1998. Survivors met the unique need for a prolife youth organization to reach the generation that had suffered the most from the evil of abortion. Jeff has been arrested almost too many times to count in his emphatic defense of the preborn and continues to be willing to sacrifice his freedom for the lives of the most vulnerable. Jeff’s life is dedicated to standing up for the preborn and to discipling young people to engage their culture with the message of the sacred value of all human life. He and his wife Janis have been married for 32 years and are blessed with 11 children and nine grandchildren. Emily Wilkinson has been attending pro-life rallies since she was a babe in arms. During high school, she felt strongly drawn toward ending the injustice of abortion, and, seeing the need for her peers to be educated, she started a pro-life club. During college she discovered Students for Life of America and started another pro-life club at Montana State University, bringing the problem of abortion to the forefront of a hostile campus culture. She founded her college town’s annual March for Life as a club-sponsored event, which has since grown in size and helped unify the local pro-life movement. Emily graduated in 2011 with a degree in Liberal Studies. During and after college, she worked at a non-profit clinic with low-cost family healthcare and free pregnancy services, helping to develop its community outreach efforts and pregnancy resources. In addition, she led several 40 Days for Life campaigns, watching the community unite in prayer and peaceful vigil and finally celebrating the closing of the Mountain Country Women’s Clinic abortion facility. She has spoken at multiple pro-life events and rallies and volunteered with pro-life political candidates. Emily is inspired by youth-led social reforms such as the Civil Rights movement, and is excited to see the rising pro-life generation walk in their footsteps and transform the culture! She is excited to educate and equip students in the West Coast region (CA, AZ, or NV) to be effective advocates for the pre-born. If you need help starting or training a pro-life group, contact Emily at ewilkinson@studentsforlife.org. These two men don't really need microphones or megaphones because their passion and presence are always known. That's why they are perfect for emcees this year at the IPYC 2014!!! Rev. Patrick Mahoney is Director of the Christian Defense Coalition and lead pastor of Church on the Hill in Washington, D.C. For nearly 40 years, Rev. 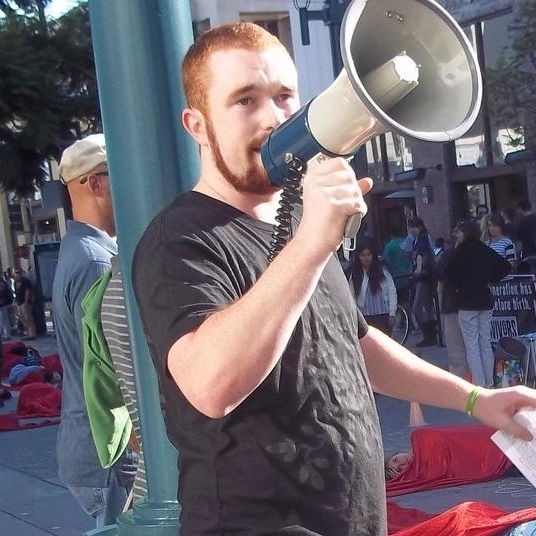 Mahoney has been an nationally and internationally known outspoken human rights and social justice activist speaking out with passion on a broad range of issues from hungry, poverty, the death penalty, religious freedom, racism, domestic violence, free speech and ending the violence of abortion. His work and ministry has been featured extensively in the national and international press including; 60 Minutes, The New York Times, Oprah, the BBC, The Washington Post, FOX News, Dr. Phil and Oprah. He speaks in churches all across America challenging the Christian community to live their faith out in the public square. Andy Moore is an abortion abolitionist originally from Christchurch, New Zealand. Andy became involved in the pro-life movement when he co-founded the only youth pro-life group, Pro-Life New Zealand, in his home country in 2008. Moving to the U.S. in 2011, he was initially based in Dallas, Texas, where he worked with Texans in the fight for life. In 2013, Andy and his family moved to Washington, D.C., to begin working in his current position as Director of Online Communications for Americans United for Life – the pro-life movement’s premier legal team. Andy is also the founder and director of AbortionWiki, an online database dedicated to documenting and exposing the abortion industry.